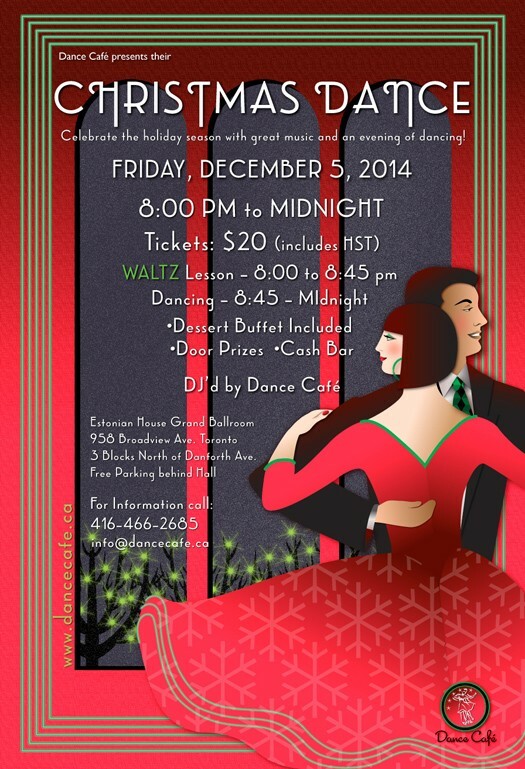 Looking to ballroom dance this Friday? Then join Joy of Dance for our December Ballroom Outing! This Friday, December 5, 2014, Joy of Dance will be heading to the Estonian House Grand Ballroom and attending the Christmas Dance presented by Dance Café. There will be door prizes, dancing, and yummy Christmas desserts. Join us for a fun filled evening of Christmas delight!